Put DVD movies on iPod for more fun on-the-go! Bigasoft VOB to iPod Converter is well designed to help you easily convert VOB to iPod video MP4, H.264 and iPod music MP3, M4A, AAC with high image quality and excellent speed. With optimized profiles, you can fast convert DVD movie to iPod classic, iPod nano, iPod touch, and iPhone only one click. With IFO selection support, the DVD iPod converter allows to open IFO files or convert your DVD folder to put DVD on iPod for more fun on-the-go. Moreover, the powerful VOB to iPod video converter provides you with various DVD editing functions such as DVD chapter and title selection, DVD cropping, DVD trimming and so on. And you can also choose your video file size, convert only the parts of the movie you want, and even decide subtitle for your movie. 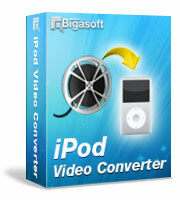 Free download Bigasoft VOB to iPod Converter and have fun with unlimited DVD movies on your iPod right now. "I have tried lots of DVD to iPod converter; however no one is more super easy-to-use and beauty than your DVD iPod converter. I can't help loving your great artwork!" 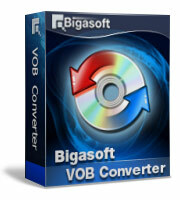 Ready to try or buy Bigasoft VOB to iPod Converter? Bigasoft VOB to iPod Converter is well designed to help you easily convert VOB to iPod video MP4, H.264 with high image quality and excellent speed. The DVD iPod converter allows putting DVD movies on your iPod, iPod classic, iPod nano, iPod touch, and even iPhone with iTunes. The smart DVD iPod converter can extract DVD music to iPod audio MP3, M4A, AAC, so you can listen to your superb movie scores on your iPod on-the-go. 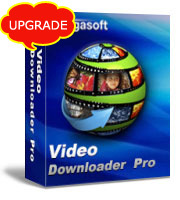 With plenty of optimized profiles, you can convert DVD movies to your iPod type with high image quality and excellent speed. It allows you to just convert some DVD chapters or titles and merge them if you like. Moreover, with IFO selection support, the DVD iPod converter allows to open IFO files or convert your DVD folder to put DVD iPod for more fun on-the-go. User friendly and easy-to-use interface make you feel relaxed and comfortable, and the intuitive interface cares about all your needs. 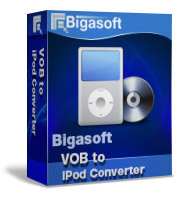 Bigasoft VOB to iPod Converter tool is so easy-to-use that just a few clicks are enough to convert VOB to iPod MP4, H.264 for playback anytime, anywhere. Provides multiple languages support including English, German, French, Japanese and Chinese. The beautiful tool provides two good-looking skins for you to show your taste. The smart DVD iPod converter is compatible with Windows 8, Windows 7, Windows XP, Windows Vista, and Windows 2000.